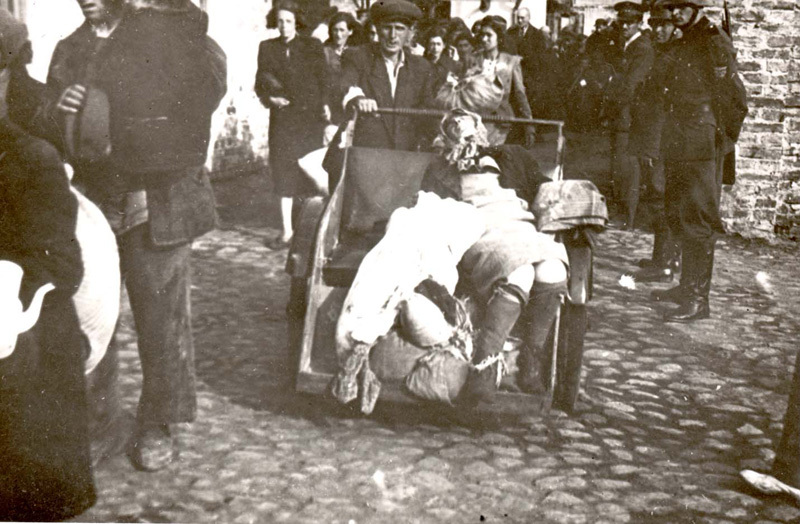 After the conclusion of the Great Deportation some 60,000 grief stricken Jews, living in a number of enclaves, remained alive within the area of what had been the Warsaw Ghetto. They had lost parents, partners, children and friends who had been deported to Treblinka and murdered in the gas chambers. Knowing full well that the sword of Treblinka hung over their heads, these Jews came to the understanding that they could not rely on the Germans' promises that they would be sent to forced labor camps; they decided to disobey the orders of the German authorities, whatever these may be. Some considered the possibility of armed resistance and sought ways to bring about its realization. Others considered hiding to be the solution, while yet others sought to leave the ghetto and to find shelter on the Aryan side of the city. However, few had the necessary connections and financial means to leave the ghetto and successfully find shelter on the Aryan side. 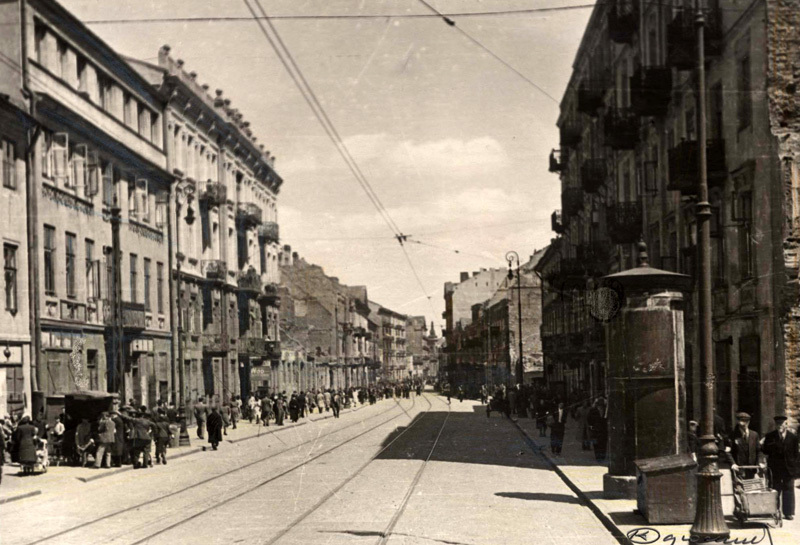 Thus, most of the Jews were forced to remain in the ghetto. 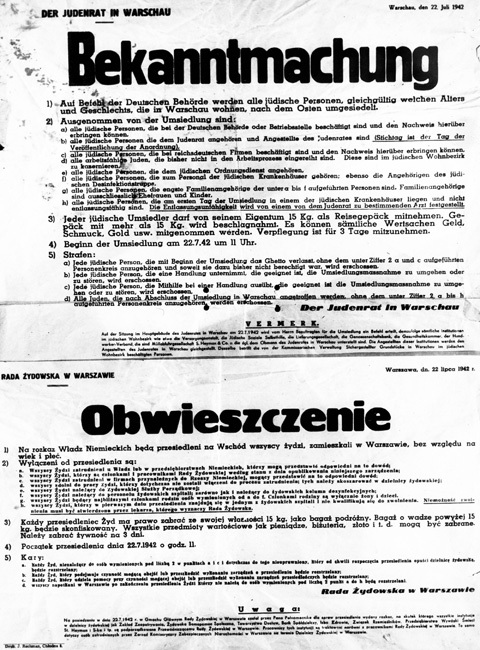 During the Great Deportation, a decision was taken to form the Jewish Fighting Organization [Żydowska Organizacja Bojowa, or ŻOB; Hebrew - Irgun Yehudi Lochem]. Sometime later, Mordechai Anielewicz, of the Hashomer Hatzair movement, was appointed to be the organization's commander. 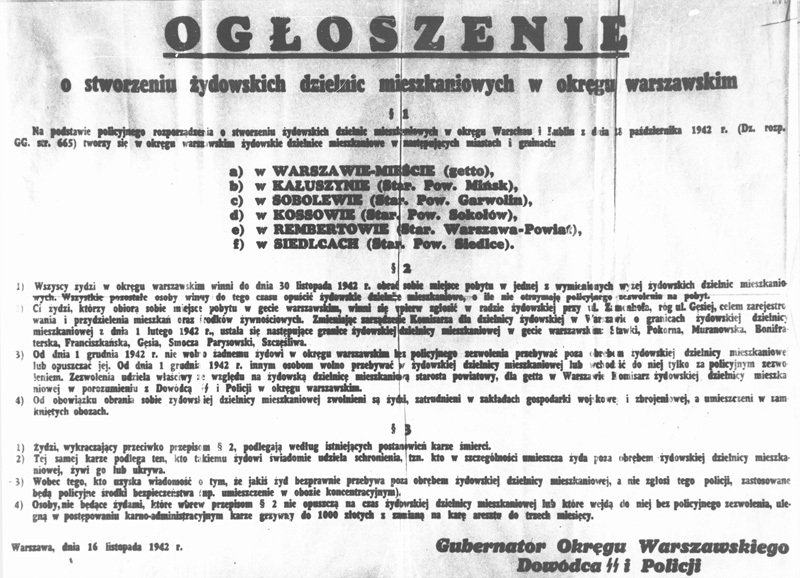 At the same time, another clandestine resistance movement was active in the ghetto, the Jewish Military Union [Żydowski Związek Wojskowy, ŻZW], founded by the Beitar movement, and commanded by Paweł Frenkel. 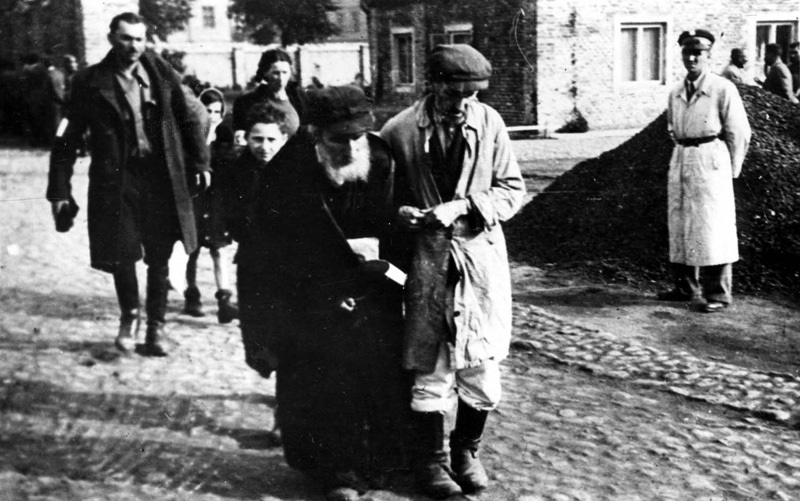 Within weeks of their inception, these organizations were active within the ghetto; they began by carrying out retaliation operations against Jews who had actively collaborated in the deportation, and making clear to the remaining ghetto populace that the masses deported to Treblinka had been brutally murdered. 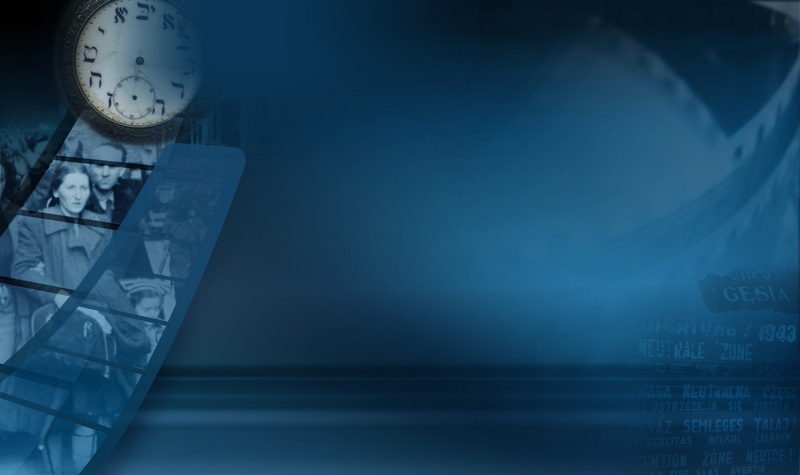 Both organizations called upon those still left alive to prepare for an armed uprising in the near future. 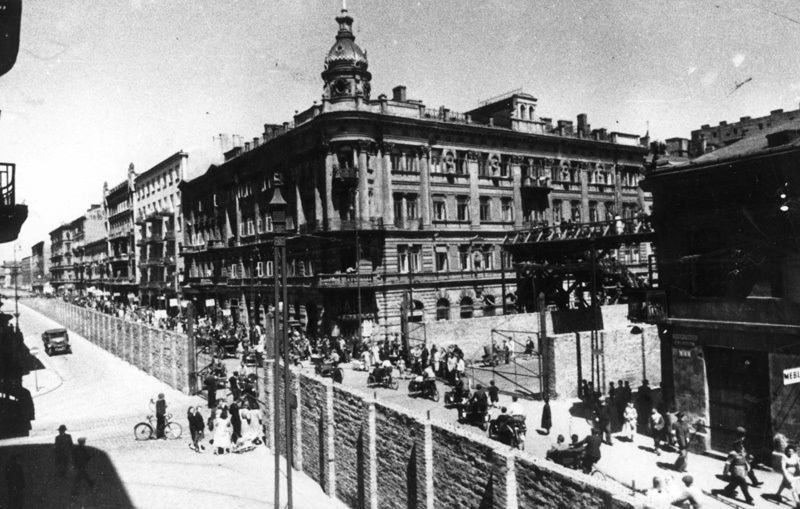 On the 22nd of July 1942, the eve of Tisha B'Av (Fast of Av), the Germans began the Great Deportation from the Warsaw Ghetto. By the 21st of September more than 265,000 people had been deported to the Treblinka death camp and murdered. 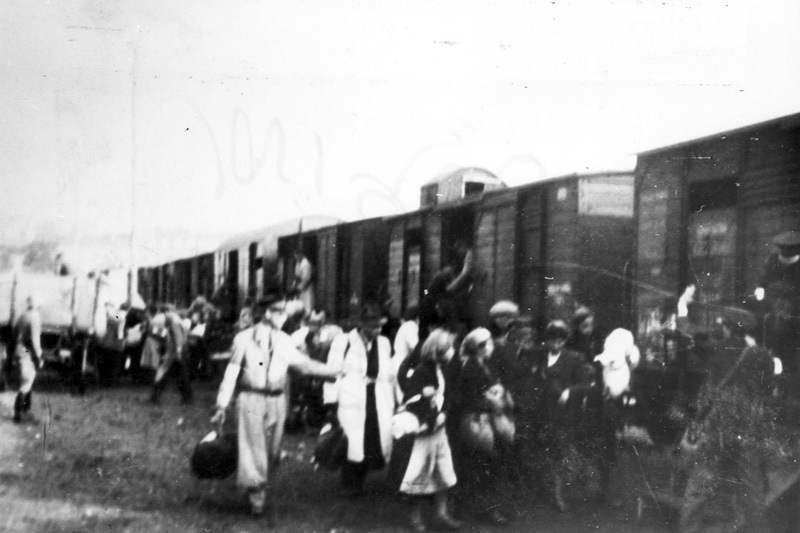 The deportees were crammed into sealed freight trains at the Umschlagplatz – a train station and its adjacent square, located at the northern border of the ghetto – which became the collection point. The Germans used deceit in order to convince people to board the transports. When the deportations began, they promised that anyone who willingly reported for "transfer" to a labor camp would receive three kilograms of bread and one kilogram of jam. This promise led to many of those suffering from acute hunger to report at the Umschlagplatz voluntarily. But after a few days the flow of volunteers ebbed. 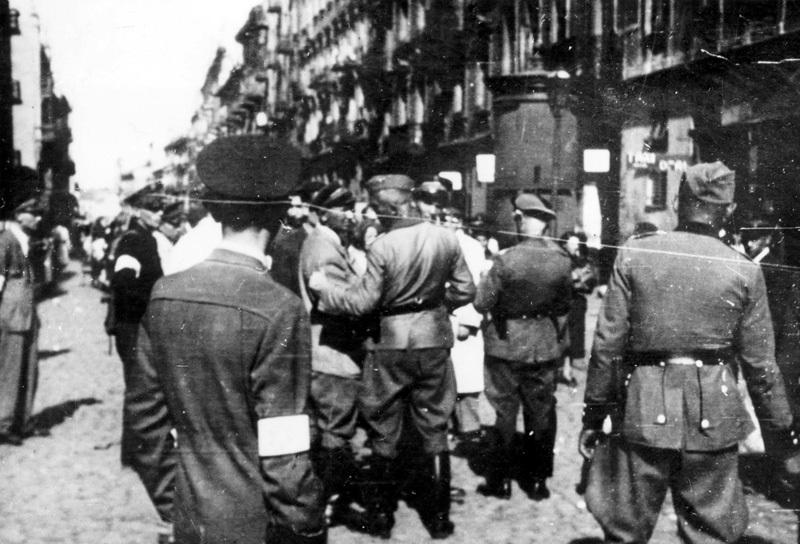 At the same time, the Germans conducted a hunt, rounding up the residents of the ghetto. Those who tried to escape during the selection were murdered on the spot. 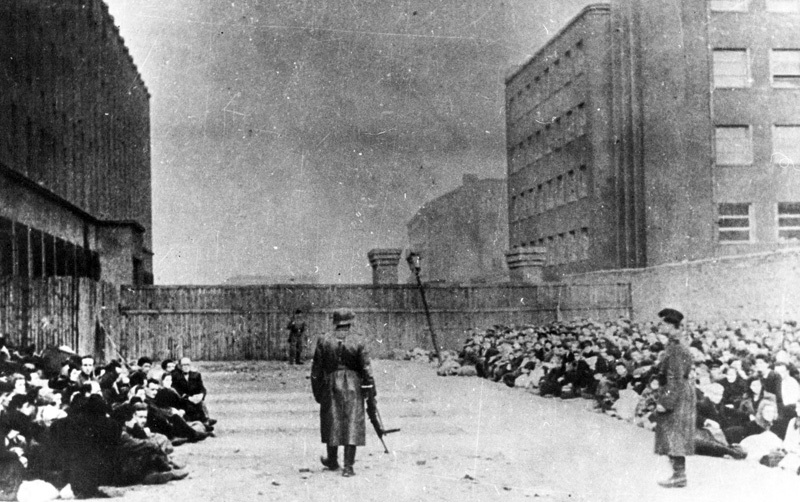 After the deportation to Treblinka between 55,000 and 60,000 Jews remained in the ghetto, concentrated in a number of housing blocks. Paweł Frenkel was born in 1920 in Warsaw, Poland. At the age of 18 he joined the Beitar movement, of which he was a youth leader. When the Jewish Military Union was established, most likely sometime between September and October 1942, Frenkel was appointed to be its military commander. 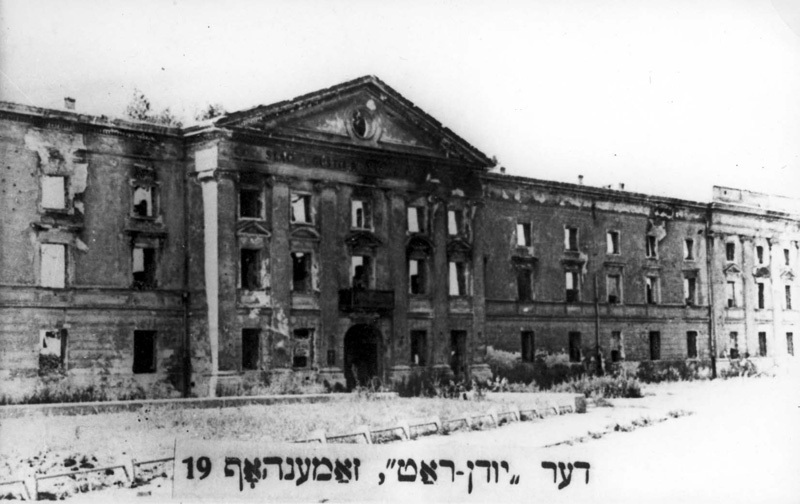 The Jewish Military Union worked alongside the Jewish Fighting Organization, and took part in the Warsaw Ghetto Uprising in April and May of 1943. Although the Union's initiators and core participants were members of the revisionist Beitar movement, the organization also accepted Jews from other circles. There is no direct evidence regarding the circumstances of Frenkiel's death. As far as can be ascertained, he managed to leave the ghetto together with a small group of fighters after the uprising, and some weeks later was killed while battling German forces.